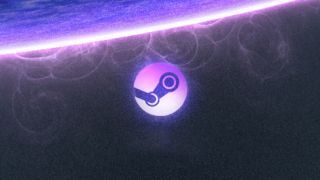 Valve's just made searching through its mammoth catalogue a bit easier, letting gamers add their own tags to its store titles. It's pretty self-explanatory. Go to any game on Steam and bang in the label you want, then anyone searching for that word, however specific it might be, will find it. Ski Region Simulator - "High impact sexual violence"
Farming Simulator 2011 - "Dubstep", "Skrillex"
Barbie Dreamhouse Party "Post-apocalyptic", "Horror"
Resident Evil 5 - "Boulder punching sim"
Airport Simulator 2014 - "Procedural death labyrinth"
Critter Crunch - "Vomiting on your children"
Half-Life 2: Episode 2 - "Almost Half-Life 3"
Dark Souls - "Git gud or die tryin'"
Dark Fall: Lost Souls - "Not Dark Souls"
As for tagging Farming Simulator 2013 with "Need for Speed", well that's just cruel. Those Steam boxes are just around the corner, but which Steam Machine should you buy?